“Oh, nooo, diet again” was my first thought when my husband concluded a few days ago that he had a few kilograms more than he should, just before the start of his badminton season. “Vera, you were making something sweet again and you know I can’t eat that!” Vera, please, think of a combination without pasta and meat” or “Vera, can we eat something sweet but with a little less calories today”. That was to be expected. And as I imagined, the day soon came. The diet was official for a few days already, but with the diet came a new problem: how to prepare my new blog dessert and fit it into Darko’s diet. The only chance was to convince him to make an exception in his diet after for days and give himself permission for a few sweets. The task was clear, a small portion of a decadent dessert. The solution came up very quickly in the shape of a photography on Pinterest – Chocolate Peanut Butter Parfait. Everything that my husband and I loved (chocolate and peanut butter, like the chocolate peanut butter cheesecake) packed into a sweet little portion. And with all that it’s the first parfait in my blogging career. And so, a layer of peanut butter mousse, a layer of sweet crumbs and a layer of chocolate mousse in two glasses of beautiful Chocolate Peanut Butter Parfait were slowly cooling of in the fridge waiting for their time. 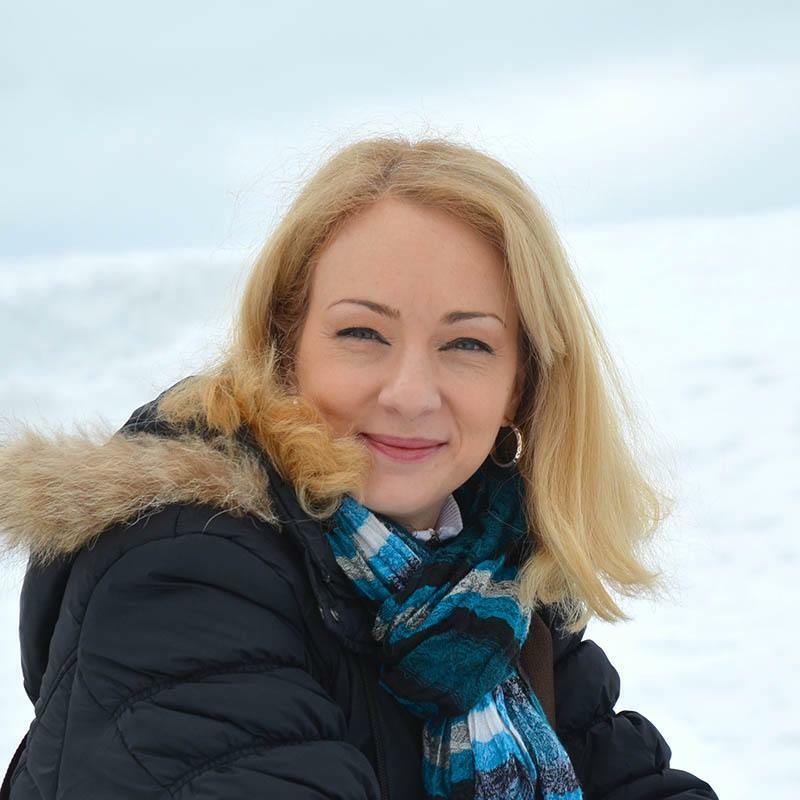 „Vera, today is my sweet day. Do you have a solution for me” he asked full of excitement waiting for his “five minutes of fame”. „Wooow“ was the only word he could mumble while he was greedily emptying the glass with parfait as soon as I got it out of the fridge. A few moments later, his stare was on my half-full glass . „Ok, OK, you can have some, but don’t blame me and say it’s my fault that you ate more than you planned“. “Nah, I would never do anything like that, my queen” promised my husband eating the rest of the Chocolate Peanut Butter Parfait from my glass. 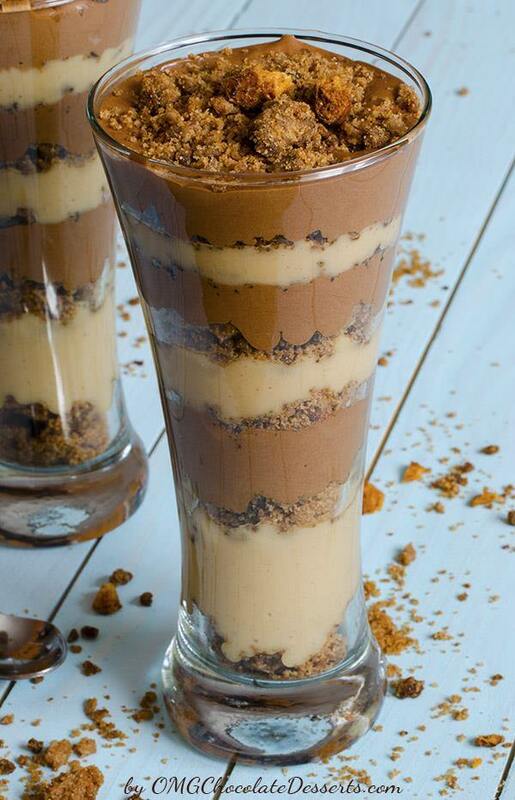 Delicious combination of crispy chocolate crumbs and silky peanut butter and chocolate mousse layers. Preheat the oven at 400F and line baking sheet with parchment paper. To make the chocolate crumbs combine sugar, cocoa powder, flour and salt in a bowl and stir in melted butter . Mix with the fork and then using your fingers, crumble cocoa mixture onto a baking sheet . To make the peanut butter mousse whisking together cream cheese, whipped cream, sugar, peanut butter, vanilla and salt. To make the chocolate mousse melt chocolate chips, then stir in the milk and let it cool. Whisk together cream cheese, sugar, cocoa, vanilla and whipped cream. Fold in chocolate and milk mixture and combine until smooth. 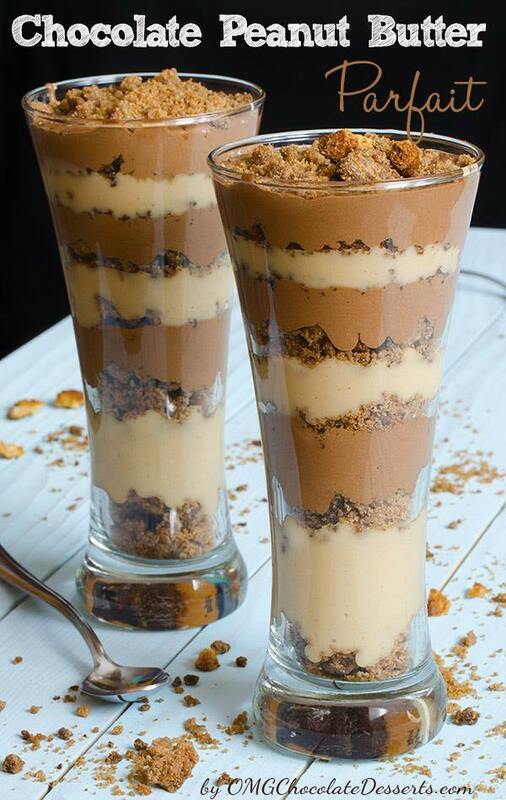 To assemble the parfaits, in a tall glass combine first layer of chocolate crumbs, then layer of peanut butter mousse, another layer of crumbs , then the chocolate mousse and repeat until the glass is full and finish with chocolate crumbs. Makes approximately 2 servings( depends on glass you use). Notes: If you are in a hurry you can use grham cracker or cookie crumbs, instead of homemade chocolate crumbs. Hi Cindy, the mousse will thicken and it will be hard to assemble it to look pretty.